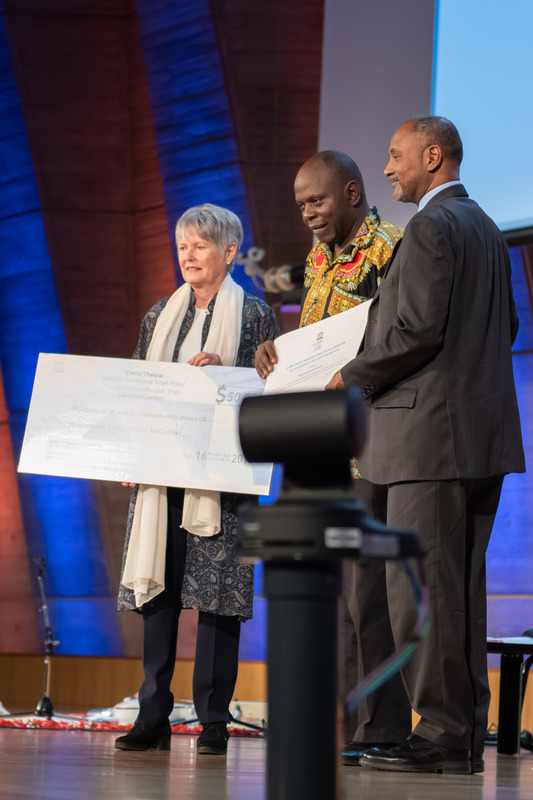 UNESCO celebrated its 22th anniversary of UNESCO-Madanjeet Singh Prize for the Promotion of Tolerance and Non-Violence on 16th November, 2018, aiming to advance the spirit of tolerance in arts, education, culture, science and communication. 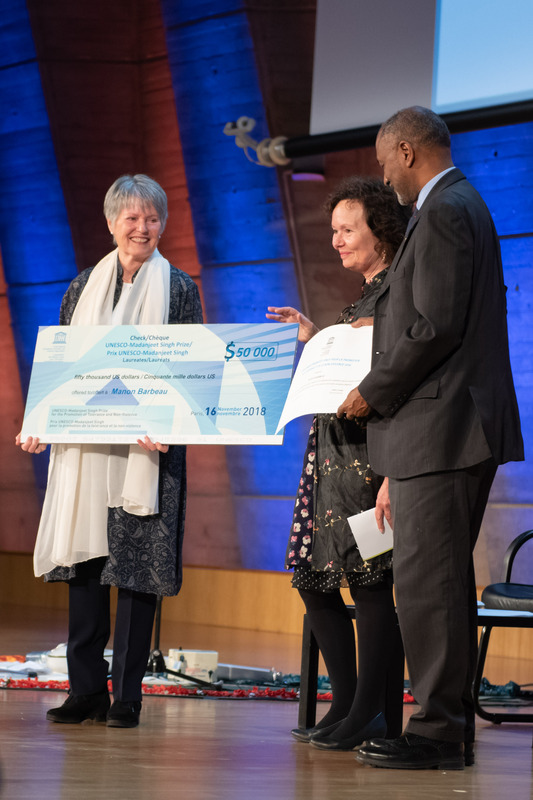 The Prize is awarded every two years to individuals or institutions for their exceptional contributions to the promotion of tolerance and non-violence. 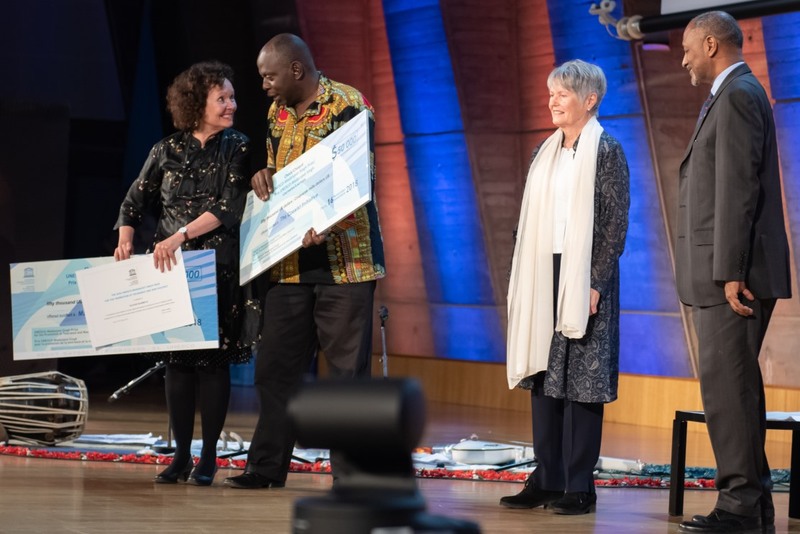 An international jury recommended the two laureates in recognition of their work in human rights, promotion of tolerance and inclusion.The US$ 100,000 monetary value of the Prize is divided equally between the two laureates. 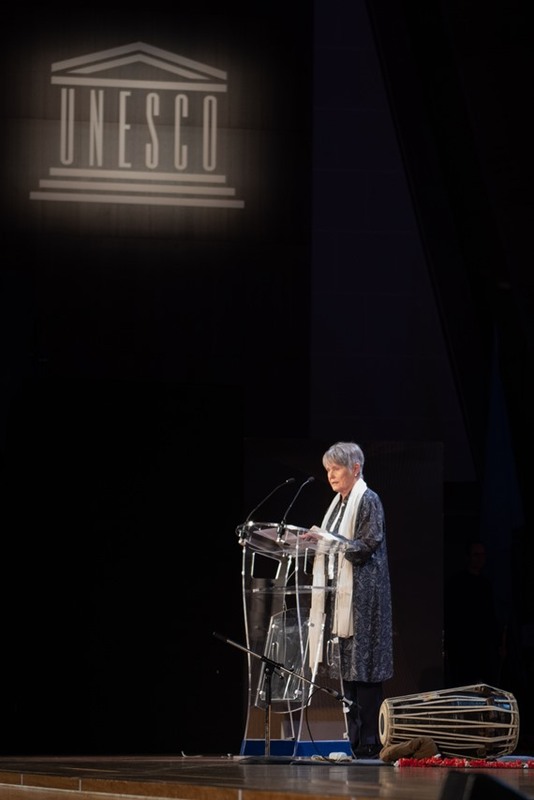 Ms Manon Barbeau is rewarded for the many activities carried out for indigenous peoples through Wapikoni Mobile, a traveling training and audiovisual creation studio, which organizes educational workshops, film screenings and training activities. Its wide range of initiatives aims to enable indigenous youth to learn about audiovisual creation and to promote and highlight indigenous cultures, languages and identities. The filmmaker stressed the importance of giving a voice to these peoples and recognizing their own rights. Mr Wanjala Wafula, founder of The Coexist Initiative, spoke on behalf of the NGO to highlight the need to effectively combat violence against women, and to ensure full recognition of their rights. Established in Kenya in 2002, the non-profit organization is recognized for its promotion of gender equality, social justice and human rights. Through an innovative and inclusive approach, it tackles gender-based negative cultural practices and stereotypes, including seeking to involve men, boys and community leaders more in the work of the organization. On the occasion of the celebration of the International Day of Peace on 21 September UNESCO will organize a roundtable discussion on the complex but intrinsic relationship between human rights and sustainable peace. Dr. Nischal Nath Pandey, Chairperson, SAF - Nepal visited UNESCO Headquarters at Paris and met Ms. Maria Rosa Cardenas Tomazic regarding Man and Biosphere program to be set up in Nepal.